Kenny is fourteen. His dad has just died and to keep the family together, Kenny must find work. 'Be careful going through the flatlands,' his mother warns him. 'Don't stop for anyone'. But Kenny does stop, and what happens next will define the man he becomes. 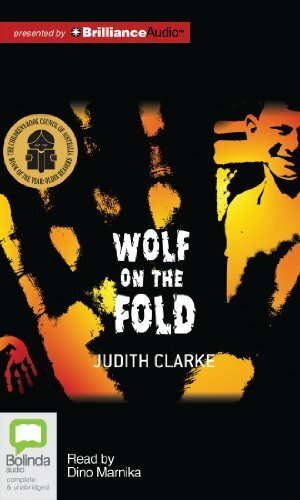 With subtle, evocative prose, and characters you will grow to love, Wolf on the Fold journeys through the generations of Kenny's family, examining those critical moments when youth collides with the adult world. Judith Clarke was born in Sydney, Australia, and lives in Melbourne. She is the author of many award-winning books for young adults, including Kalpana's Dream, Wolf on the Fold, Night Train, and Friend of My Heart.